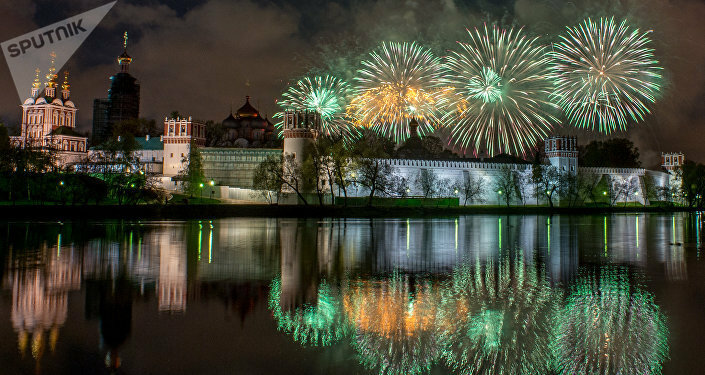 Victory Day is one of the most important national holidays in Russia. Celebrated on May 9, it arguably overshadows New Year's Eve celebrations, and is "a combination of the Western New Year and Christmas put together," according to Sleboda. Speaking with Becker, Sleboda said it is hard to overestimate the importance of the Victory Day holiday, as "the number of the families who didn't lose someone in the Great Patriotic War is very few." The holiday is marked in the majority of the former Soviet republics, with the exception of the Baltic states, and now Ukraine, "under the west-backed putsch government there," Sleboda explained. It is also officially observed in the former Yugoslavia — in the republics of Serbia, Montenegro and Bosnia and Herzegovina, in particular in Republika Srpska, where it is a work holiday. Poland officially ceased to celebrate May 9 in 2014, making May 8 National Victory Day instead. ​One of the largest Victory Day celebrations outside the former Soviet Union is held in Israel. National Remembrance Day there celebrates the role the USSR played in liberating Jews from death camps in Poland and Germany. 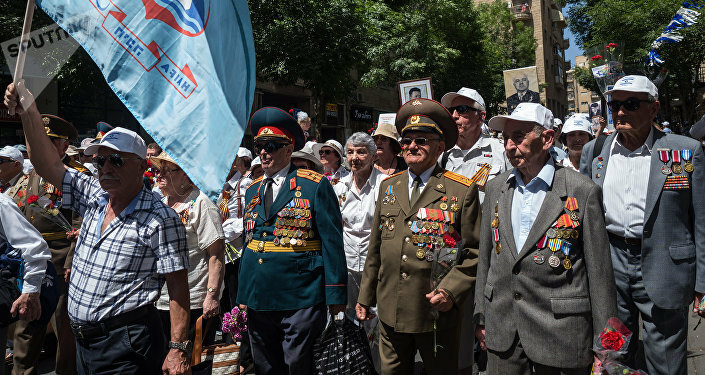 In addition, the "Immortal Regiment" demonstrations around the world see veterans' descendants march in the streets, holding photographs of their grandparents who fought in the Great Patriotic War, as it is known in Russia. The movement has spread from Russia, and takes place in cities across the US and Europe as well. The fact often overlooked in the West is that it wasn't until 1944, when the tide of war had already changed in favor of the Soviet Union, that Allied forces finally landed at Normandy. Thus, Soviet soldiers fought 85 percent of the Nazi army. If combined with other fascist forces, including in Romania, Finland, Bulgaria and the Baltics, that figure rises to 93 percent, according to Sleboda, with the West engaging only the remaining 7 percent on the Western Front. The West did play a small role in the Soviet victory over the Nazis, Sleboda conceded, as they sent Lend-Lease foodstuffs and materials, but this move has been largely overstated by Western historians, he said. "They sent Spam and toy tanks so that Russian boys and women did the dying, so that the Western boys stayed safe." "Whether that is fair or not, I leave it to the modern day historians," Sleboda added. Becker speculated that the US' delay in joining the war was planned all along, since around 1941, in order to get the Soviet Union and the Third Reich to mutually destroy one another and create space for a US-dominated world. Sleboda argued that the start of the Cold War, which followed the "unexpected" rise of the USSR after 1945, should be placed much earlier, in 1919. Sleboda referred to the little-known Allied intervention in Russia, in which a coalition of forces from the United States, Japan, France, the UK, Italy, Greece and others, took advantage of the Russian Civil War and invaded the nascent USSR to "kill it in its cradle," as Sleboda put it. The US sent 5,000 troops to the Soviet port of Arkhangelsk, in a move known as the Polar Bear Expedition. At the same time, 7,500 US troops, known as American Expeditionary Force Siberia, landed at the eastern Soviet port of Vladivostok. The whole idea of killing the USSR was "put on pause" during World War II, Sleboda said, but was revived immediately after the war ended. America's hegemonic aims were now fueled by an influx of Nazi scientific and official elites, who went to the US after the capitulation of the Reich. 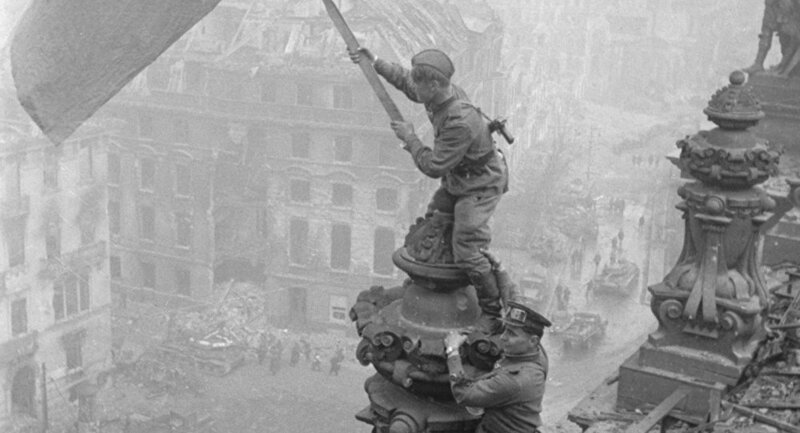 According to Sleboda, the Soviet victory in World War II played a crucial role in creating the UN-led world order, built on principles of sovereignty and non-interference. These principles are under assault now, and they have been for the last 20 years, since the collapse of the Soviet Union, he said, repeatedly violated by Western militaries that have changed regimes in numerous countries already, dissolving the "building blocks" laid back in 1945. "It is quite common among US political scientists to refer [to the current world] not as the ‘UN world order of 1945', but as the ‘Western liberal world order' they saw forming under Bretton-Wood [conference of 1944], [the creation of] the International Monetary Fund and that has come to full fruition in 1990s," Sleboda said. "They don't even speak about the 1945 post-World War II world order of sovereignty; sovereignty is inconvenient for the world governed by Western hegemony," he added.